Scott N. Carter, Trust Attorney, discusses how changes in laws impact trusts. In 2018 a trust can get created in a way that avoids not only the estate tax but income tax. Another important point that has come up very recently within the last couple of years is that the laws have changed. A lot of the trusts that we did many years ago or even a few years ago are now out of date. 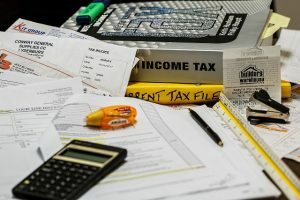 What I mean by that is the laws changed to the point where an old-time trust is split into different trusts with one of the trusts becoming irrevocable now has caused income tax to be an issue. In the old days, most estate plan attorneys were very concerned about the estate tax. Now with the exemption having grown so large, this year it will be 11.18 Million each. But it does have a sunset provision so it will go down in the year 2026 back to $5 Million plus. With that said, a married couple, anyone with an estate under say right now under $22 Million, but even in the future under $11 or $12 Million is not going to have an estate tax. Therefore, most people now are concerned with what we call the income tax issue dealing with trusts. When a person passes away under the old format the trust would split into two trusts. One of those trusts would become irrevocable which brings in a lot of rules dealing with trustee issues and what a spouse is entitled to receive. Now what we are concerned about is we still like to do a split to protect spouses and protect children but we do it a little differently. Also now we have the availability through a law called portability that we can now port over so to speak, the exemption to the surviving spouse and we can avoid not only estate tax but we can avoid income tax at the first death and at the second death. It can become very important because as we know the odds of spouses dying together is very unlikely and therefore there is a lot of times a large gap. That gap creates growth – especially in the San Francisco Bay Area housing and whatnot, the growth of the assets and that can trigger an unnecessary income tax. One of our big advantages nowadays is that we can draft the trust in a way that we can avoid not only the estate tax but the income tax. An important point to point out for California is that even though we do have a very high income-tax, we do not have an inheritance tax. If someone passes away in California the only tax to incur at death is the Federal Estate Tax. That is why it is so important to have the trust set up properly, and to have it protect both the estate tax liability and income tax liability. About: Scott N. Carter is a partner in a boutique San Jose law firm, Carter, Dougherty & McGuire. The firm’s business principles are driven by the needs of their clients. They are certified specialists in taxation, probate, estate planning, and trust law. Scott can be reached at 408-241-2121 or http://www.cdbatlaw.com.